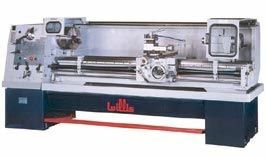 Willis geared head precision lathes have a very similar design to the popular Colchester lathes. These conventional lathes are available with a range of swings over the bed from 13 inches - 22 inches. 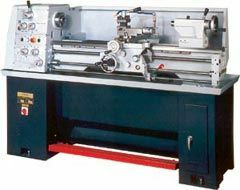 All of these conventional engine lathes feature a gap bed. 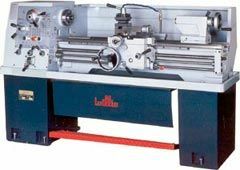 Our Colchester-style lathes are also available with a variety of distances between centers, from 30 inches to 120 inches. Normally equipped with a Norton-style universal gear box (excluding model 1340), these conventional lathes are also available as infinitely variable-speed versions, utilizing a Yaskawa AC digital inverter, providing full power throughout all speed ranges. 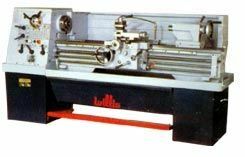 Along with the Colchester-style lathes, Willis Machinery offers many other options in conventional lathes, including smaller tool room lathes, to the much larger mammoth PK IV series conventional lathes. An adjustable clutch on the apron provides these conventional lathes with longitudinal and cross-feed pressure adjustment.